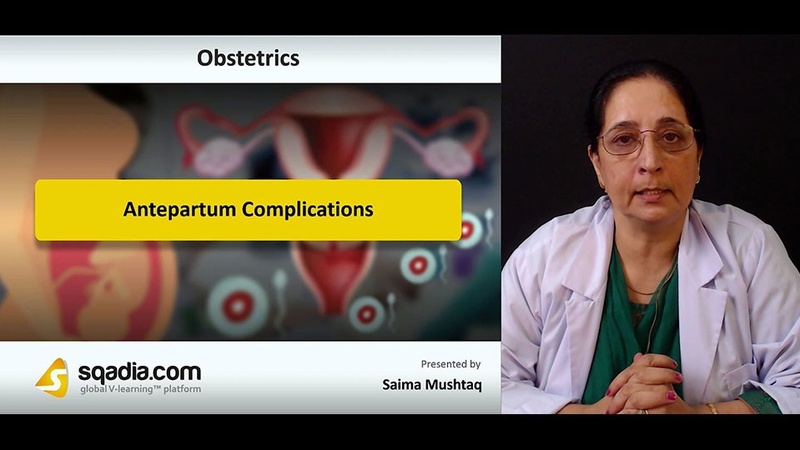 This lecture presents detailed information on Antepartum Complications. Section one is primarily focused on the explanation of Post-Term Pregnancy and ABO Incompatibility. In this section, the educator presents a comprehensive overview of Post-Term Pregnancy and puts forth an elucidation of ABO Incompatibility. In section two, the topic of Vaginal Bleeding is addressed. The educator begins by shedding light on Vaginal Bleeding in Pregnancy. 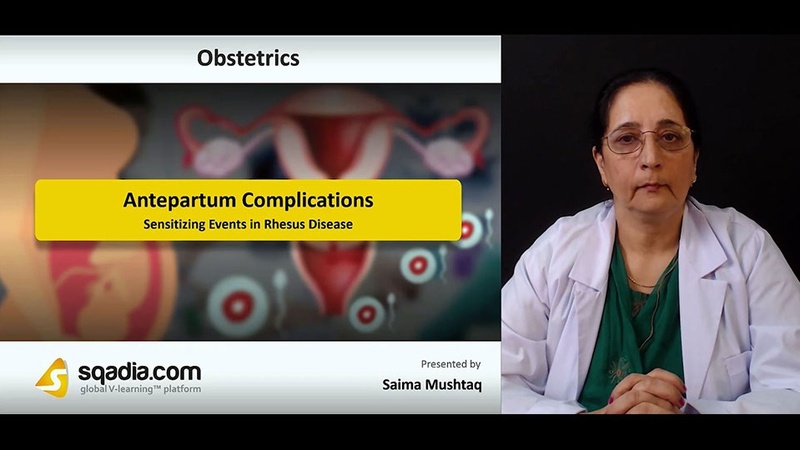 Moving forward, the Causes of Antepartum Haemorrhage are demonstrated. In addition to this, the educator deals with the discussion of History, Examination, Investigations, and Management of Vaginal Bleeding. In section three, the educator talks about Rhesus Disease. First of all, light is shed on Rhesus Isoimmunization. Following this, the educator highlights Aetiology of Rhesus Disease. Later, an extensive description of Rhesus Disease is put forth followed by an explanation of Hemolytic Disease of Fetus and Newborn. The prime focus of section four is Sensitizing Events in Rhesus Disease. In the start, Prevalence and Prevention are discussed. The educator then elucidates Potential Sensitizing Events. Moreover, the Anti-D Immunoglobulins are also highlighted. Section five primarily sheds light on the Management of Sensitizing Event. The educator presents an overview of Management of Sensitizing Event. Subsequently, Signs of Fetal Anaemia are discussed after which a detailed elucidation of Rhesus Disease in Sensitized Woman takes place. The educator then talks in detail about Fetal Blood Transfusion and Routes of Administration. In addition to this, Properties of Transfused Blood are highlighted followed by a depiction of specific conditions which need to be taken care of At Delivery. At the end of this section, the educator shares details about the New Developments that have been made so far.